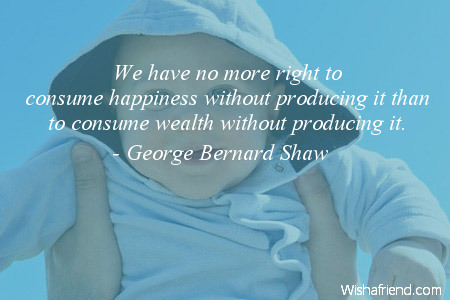 Browse our collection of Happy quotes and sayings. 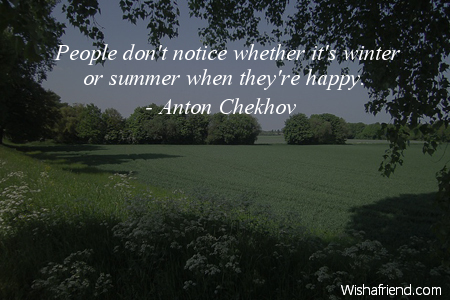 Share Happy quotes with friends and family. 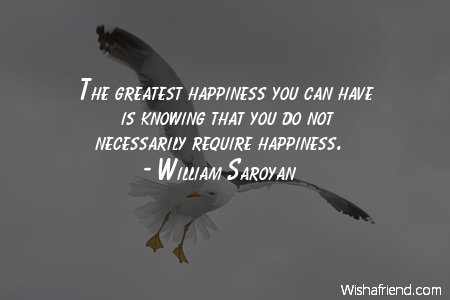 The greatest happiness you can have is knowing that you do not necessarily require happiness. One should be either sad or joyful. 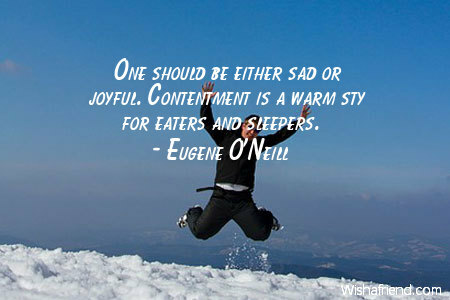 Contentment is a warm sty for eaters and sleepers. 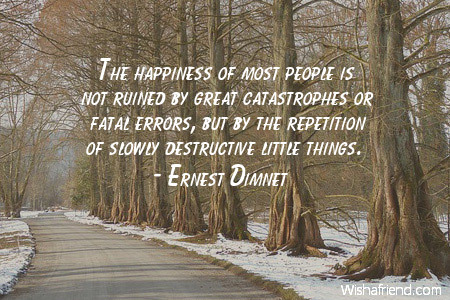 The happiness of most people is not ruined by great catastrophes or fatal errors, but by the repetition of slowly destructive little things. You cannot always have happiness, but you can always give happiness. When neither their property nor their honor is touched, the majority of men live content. 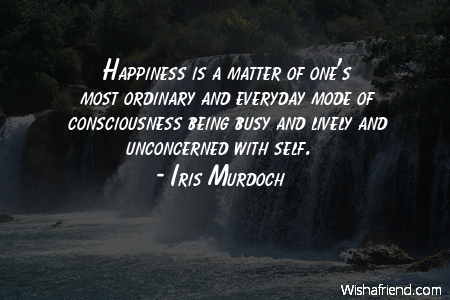 Happiness is... Usually attributed by adults to children, and by children to adults. As people spin faster and faster in the pursuit of merely personal happiness, they become exhausted in the futile effort of chasing themselves. 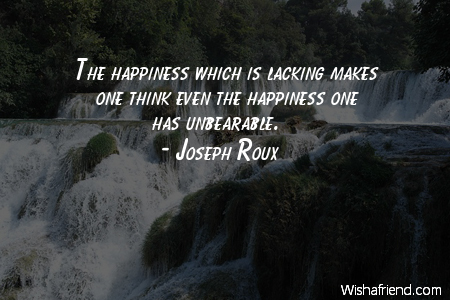 The happiness which is lacking makes one think even the happiness one has unbearable. 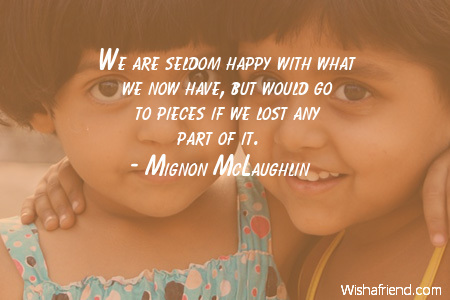 We are seldom happy with what we now have, but would go to pieces if we lost any part of it. 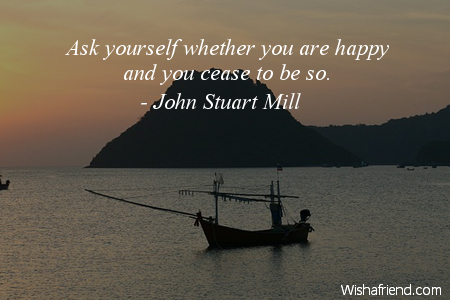 Ask yourself whether you are happy and you cease to be so. 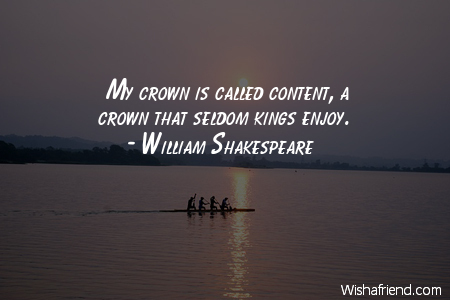 My crown is called content, a crown that seldom kings enjoy. 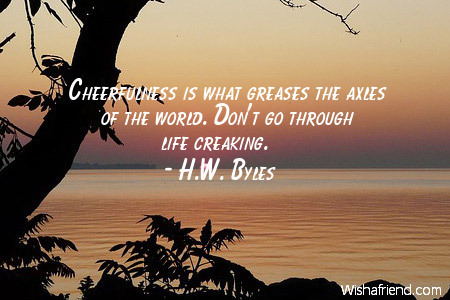 Cheerfulness is what greases the axles of the world. Don't go through life creaking. 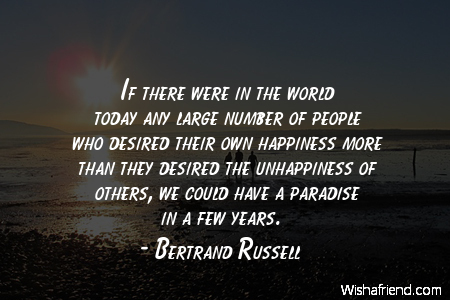 If there were in the world today any large number of people who desired their own happiness more than they desired the unhappiness of others, we could have a paradise in a few years.